This will be as close as I can get to the original concept of the Vauxhall Astra 4S. Saying that, it would be impossible to build a replica engine given they are 2.3l Diesel block rebored with a Cosworth head. To go with a modern engine will give me the flexibility of "off the self" parts and performance addons and this is where I was very excited to find out that GM in the US had designed and built a 2.4l engine giving me a "what seemed to be" modern representation of what GM/Opel/Vauxhall would have ended up with if the Group S race development would have advanced any further. The Xtrac 4WD Gearbox developed and run in the 4S is available but the cost would be more than total cost of the car. Sierra Cosworth 4WD would be the obvious next choice being north/south engine configuration but in Australia these are rare and even else where they are sort after. This is where the Nissan Skyline GTR running gear comes into it's own... having a reputation for it's strength and in Australia readily available this has become to me an obvious choice. The shell is by fare the easiest to obtain but will take the bulk of the build time to transform into the replica. The shell will be the GM Daewoo 15i, the same base I used for the Opel Kadett GSi and which itself is a reproduction of the Opel/Vauxhall car of which the 4S was based on. For the panels I am very fortunate to have contact with a person who has obtained some of the original molds and some panels in the UK. This will give me the exact same external panels and gives the car the look and makes this project. I will present the car as the "Andrews Heat for Hire" sponsored 4S now at the Vauxhall Heritage Center. 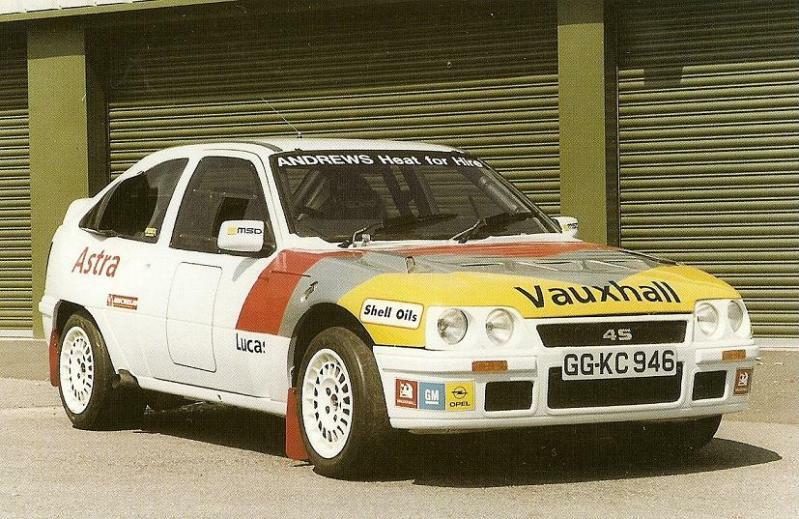 This was 2.4L Manta Engine with a Sprintex Supercharger fitted with the Xtrac 4WD gearbox producing 325Hp.